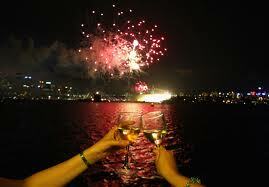 Windy Point Archives - Write for Wine: It's Wine O'Clock Somewhere!Write for Wine: It's Wine O'Clock Somewhere! When you drive between Seattle and Prosser or Walla Walla, be sure to stop at Windy Point Vineyards for a pour of some excellent value wines in a beautiful tasting room. Or if you’re looking for something different to do over a weekend, it’s worth the trip to Windy Point. 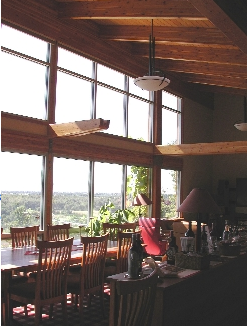 With stunning architecture and beautiful views of Yakima Valley, the well-designed tasting room is airy and comfortable, with a professional kitchen as the centerpiece. Outside, you are surrounded by gently rolling hills, a small waterfall and a pond. And if you’re lucky, you’ll see some Mississippi sawbuck turtles raised at the vineyards. And talk about value – our favorite Windy Point reds are priced between $17-$23, and we always seem to go home with a case. You can purchase the wine outside the tasting room but it’s much more fun to visit. 2005 Cab Franc ($18): This vintage was awarded a platinum by Wine Press Northwest and a gold medal at the Washington State Wine Competition; the more recent 2006 Cab Franc ($20) won a silver medal at the Washington State Wine Competition. 2006 Cabernet Sauvignon ($20): Showing excellent potential, this Cab was just released. We were big fans of the 2004 Cab, so we’re cellaring the more recent vintage for a couple of years. 2007 !Exclamation Point! 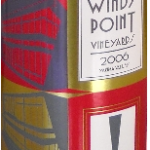 ($21): Windy Point’s signature wine is a rich blend of 60% Cab Franc and 40% Merlot, one of the winery’s best-sellers, a two-time gold medal winner and “best in show” at the Washington State Wine Competition. 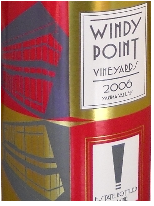 2008 Moot Point ($23): This is an elegant Bordeaux-style blend at such a low price point: 80% Cabernet Sauvignon, 20% CabFranc and a splash of Malbec. While some of these wines were lovely to drink on their own or with almonds and cheese, they also pair well with different foods. 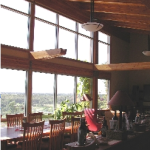 On the Windy Point website, you can find recipes, such as Apple Wood Smoked Pork Loin Sandwich, Seared Halibut, Braised Colorado Lamb Shank or Wine Infused Beef Flank Steak with Savory Mushroom Napoleon, Crispy Root Vegetable Cakes & Red Wine Cream Sauce.